THE NATURAL HAVEN: UK readers: Natural Hair Salon in London! UK readers: Natural Hair Salon in London! Now I know many of us naturals go the DIY route but surely in London with the largest concentration of people of African origin in UK, I am certain some of you will have a recommendation. Remember we are looking for recommendations, not just names! Good, bad or indifferent - all reviews are welcome. I have been to both Adornment and Purely Natural. I think their price range is about the same. Adornment used to be closer to me but i moved house house so PN is closer to me now. They both have good customer service but I think i prefer Adornment as they do a one on one hair consultation for you (not sure if they still do, last time I went there was 2009). Adornment environment seemed more friendly to me as well. I went to Purely Natural for the Big Chop and I found the hairdresser to be quite harsh on my hair. I spent 10 months treating my hair like a baby, nurturing it, not using heat, etc, only for the hairdresser to run straight to the hair dryer without any prior detangling, within two minutes of me sitting in the chair! Looking back I should have been more assertive about what I wanted. I do realise that the quality of professional haircare often depends on the practitioner. Had I used a different hairdresser, I would have had a different result - perhaps better, perhaps worse. 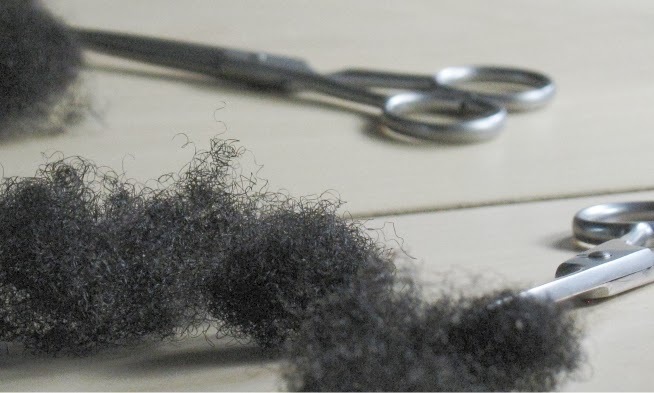 We must face it - there is an issue with the time a natural is willing to spend doing her own hair, such as detangling, compared to the time that a business is willing to spend for a fixed price. In any case, my experience wasn't enough to deter me from returning to Purely Natural. However, I will ask for a different hairdresser next time. how was your following visit 2 purely natural. I agree on your comment. I had the same experience with Purely Natural Hair. I have been couple of times there. Their stylists are amazing! I look very nice and feel pretty! Unfortunately, I tried two different hair stylists, both do not detangle before using the hair dryer! The second one was combing my hair as if she was angry!! When you are twisting, you don't need to comb the hair toughly all the times!! Curls wont get straight with comb!! My style was gorgeous but at which prices! I think there are tone of natural hair female who post videos on the web and know best how to take care of hair than purely natural hair salon!!! I have paid 40 pounds just for hairstyle. At this price, I would expect a better hair care! I went to Adornment for my first trim. Very polite and professional. Did some sort of personal hair consultation, served me herbal tea and the atmosphere was very relaxing. My stylist handled my hair with care and took my choices into consideration. Styled my hair afterwards. I was very happy with their service and will definitely be going back again for my next trim. A bit pricey though so my visits are strictly treats. There was someone who specialised Afro hair in the Aveda at Holborn/Convent Garden, but she is no longer there and they did not return my call to make a booking with someone else. This was a while a go now. I have been to Adornment a couple of times, they do the initial consultation, but it is not mentioned or referred to on subsequent visits. They have good products and the conditioners are beautiful, but it is really geared to people who want to wear locks and so if you want to wear your hair natural, they appear reluctant to want to plait it or bun it as part of the finish. Prices are reasonable, and the staff are really kind and sweet, but if you have completely natural hair, I would say that you should ask for one of the older staff. Thanks for the review! Have you found or gone to any other salon in London which has free natural hair specialists? Just an idea of mine, naturals are the only ones who know how they like their hair style amd handled so why not start one for free natural hair? I agree with you and I know it will happen soon enough. In december 2011 I enquired about the natural afro hair stylist in the Aveda flagship salon in Holborn. The previous stylist had left, but they have a replacement stylist called stephanie if anyone is interested. Thank you so much Jc!!! I will definitely try Aveda. Adornment I've heard of but wasn't sure about because when you google it most of the reviews are negative. Now have options to work with, thank you!!! You are welcome, I am glad I could help. Many thanks of course too the lovely London based readers who responded too! After living in Nottingham for a few years, I only spotted a Natural salon minutes away from me earlier this year!! I felt so silly! I have no idea about prices, as you need a consultation before any treatment or style. I haven't been yet. I can't really think of a reason to go as I do my own hair, and don't want to go for the sake of it. So, not a review, but I wonder if anyone else in the Midlands has been there? Charlotte Mensah at Hair Lounge on Portobello Rd in West London. I go to her quite regularly. She works with natural hair and does the "natural hair fix" section in Black Hair magazine - but make sure you ask for what you want and how you want your hair to be treated, and bring your own products if you are particular about that. Sometimes there is a long wait and it can be pricey but I find this hairdresser friendly and pleasant as well as knowledgeable and I recommend them. I'm going today! I got a nice trim on dry hair so as not to change the shape, and to save me time and money. I did indeed wait an extra half an hour (which I spent gossiping with the other customers, drinking mint tea and eating random moroccan sandwiches they happened to have in the shop that day), and the trim cost £35. can anybody tell me the requirements to be a natural hair stylist in the UK?